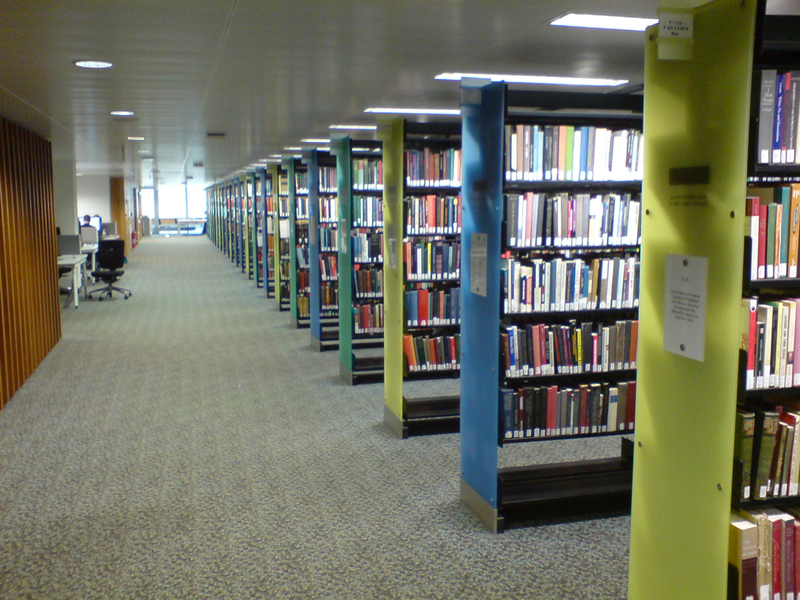 I visited Edinburgh University Main Library today, open to the public on Doors Open Day. I wanted to see again the mesostic poems, by myself, Alec Finlay and others, that were installed on the bay ends as part of the library refurbishment in 2009. Each is about a particular author whose work is in the collection; an earlier post gives more background.